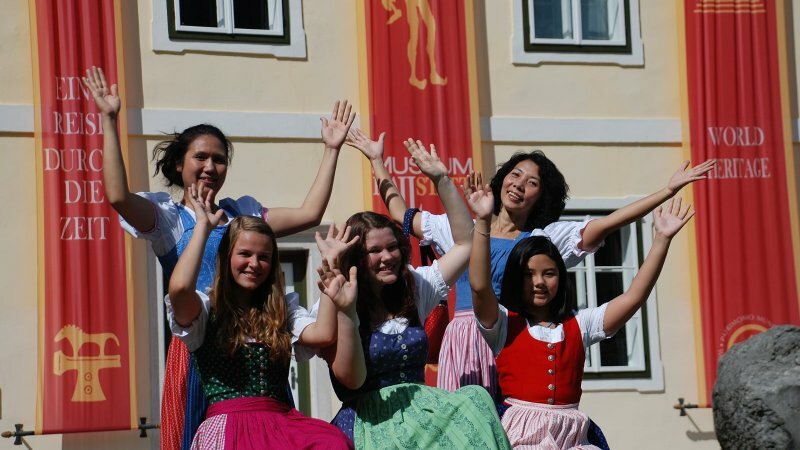 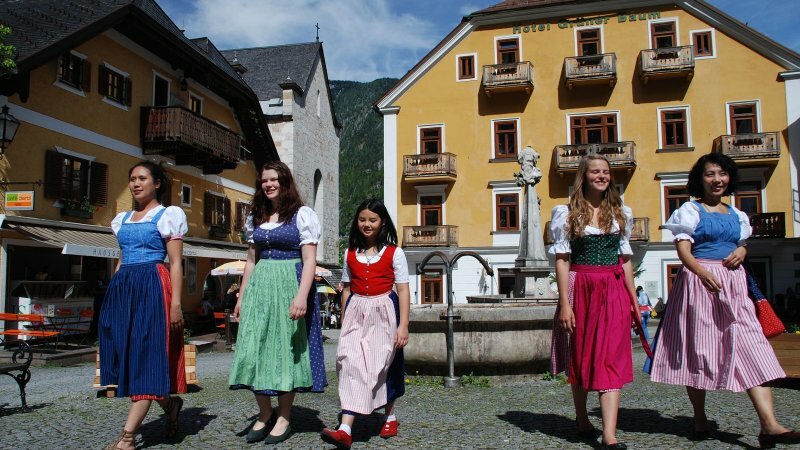 Rent a “Dirndl“ for your photos on the most beautiful places in world-heritage-village Hallstatt to remember your great holiday at lake Hallstatt/Austria! 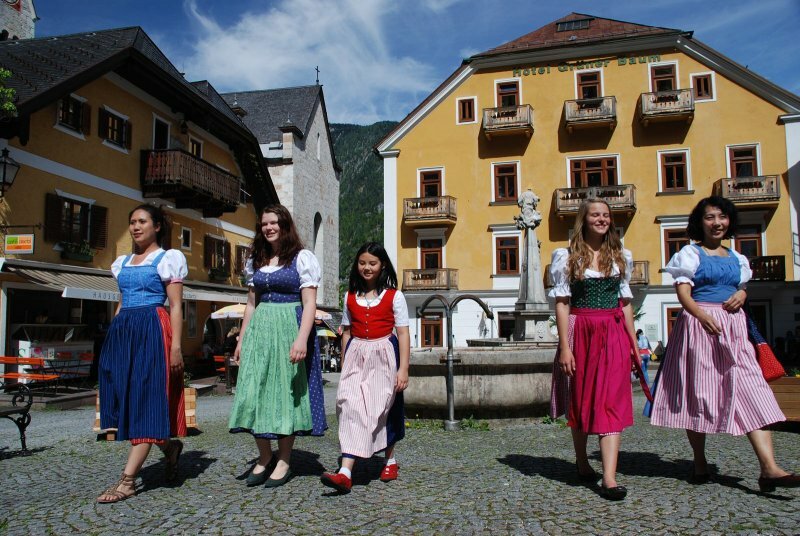 Rent a “Dirndl“for your photos from Austria and the most beautiful places in Hallstatt - © Höll. 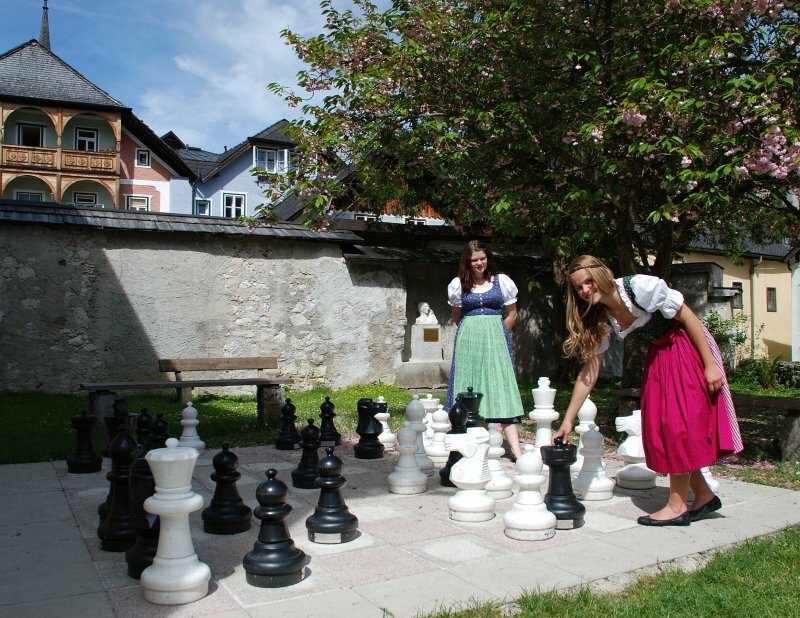 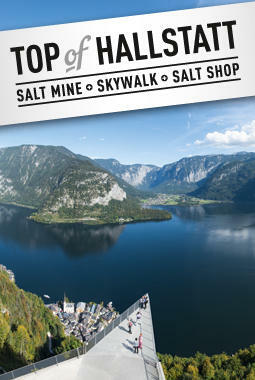 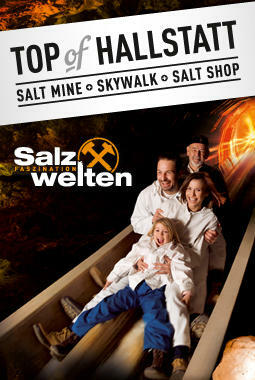 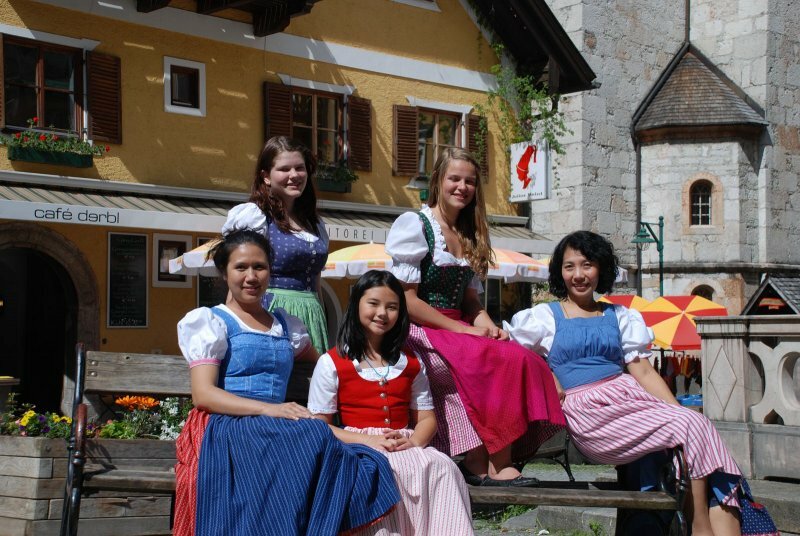 Rent a “Dirndl“for your photos from Austria and the most beautiful places in Hallstatt - © Kraft. 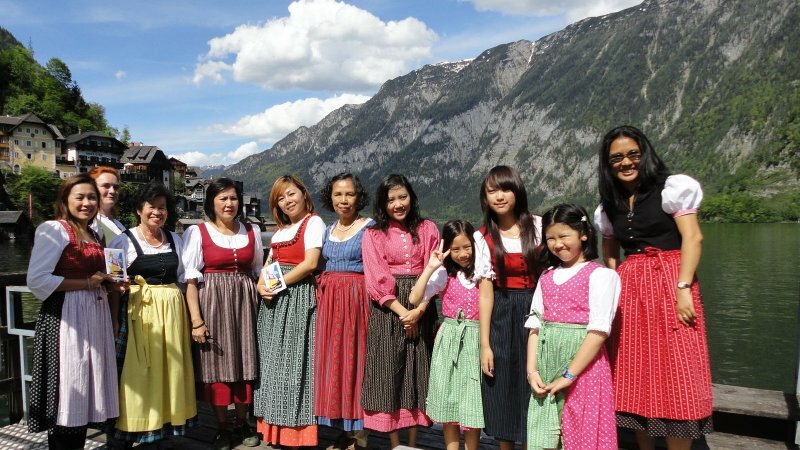 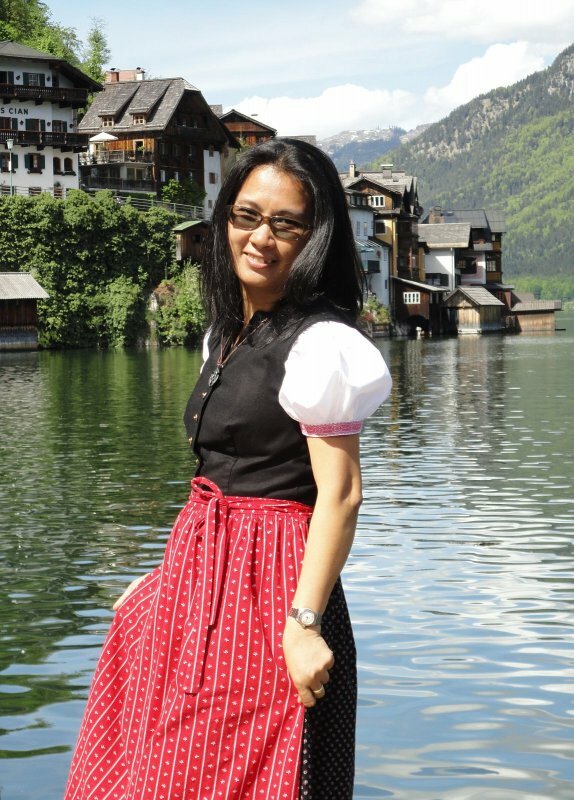 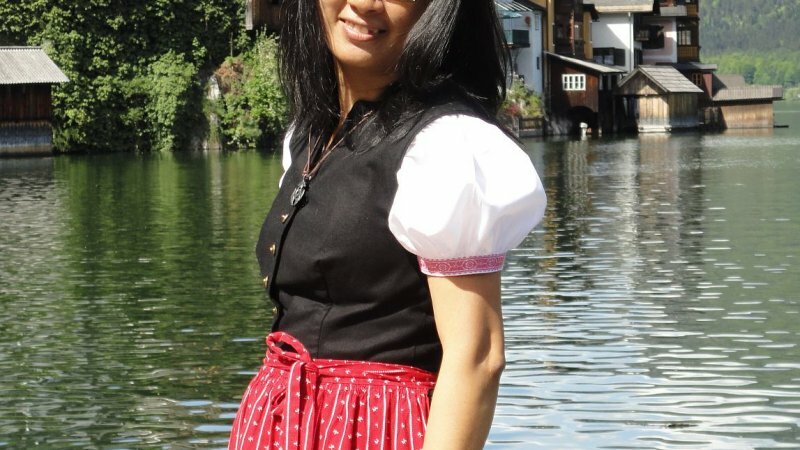 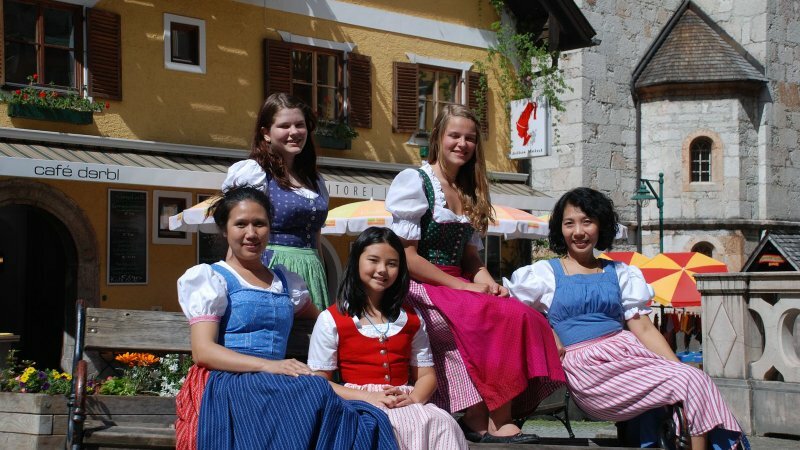 Rent a “Dirndl“for your photos from Austria and the most beautiful places in Hallstatt - höll. 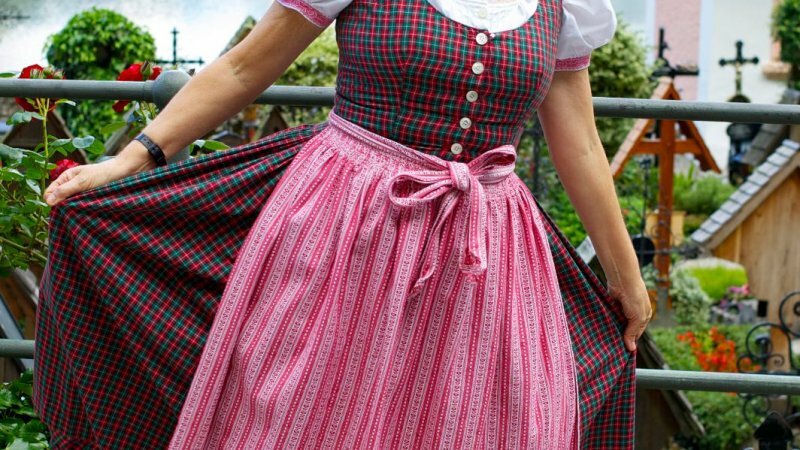 It’s all about the bra. 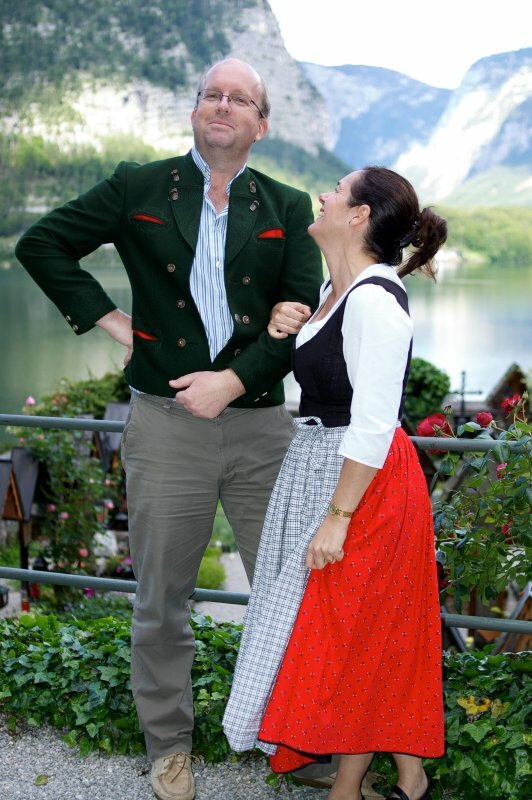 That becomes obvious very quickly, as Claudia casts a critical eye over my cleavage. 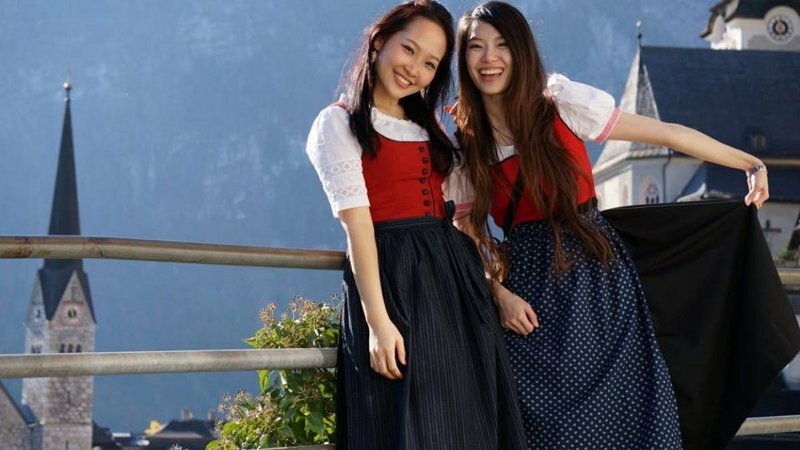 Or lack of it. 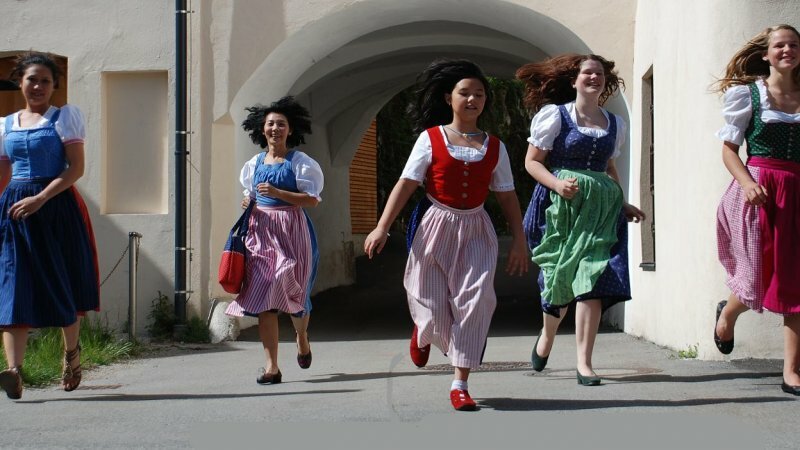 Clearly, I’m wearing the wrong kind of bra. 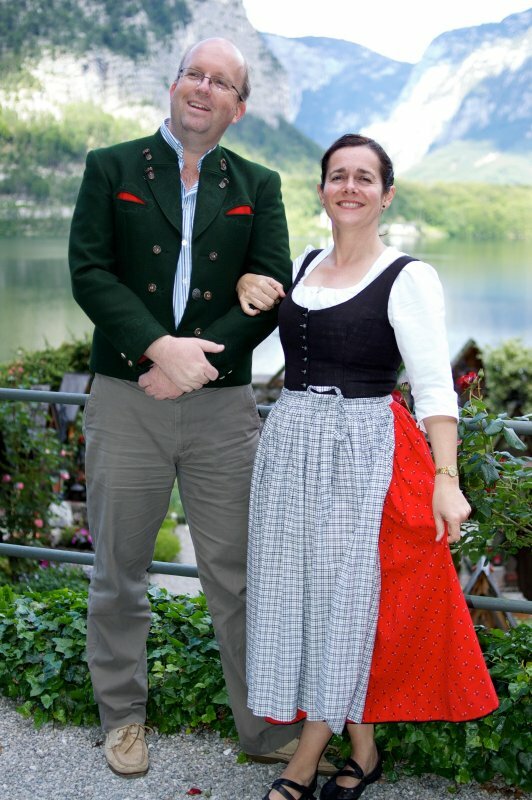 Claudia’s decolletage – and that of every woman in town – is far more impressive. 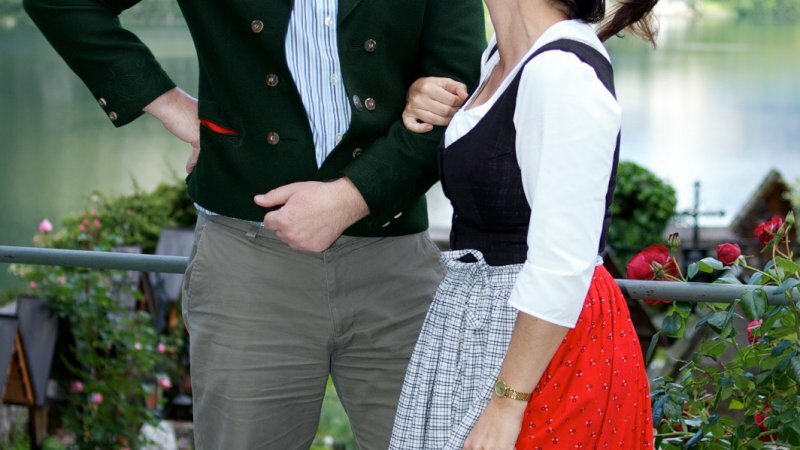 But in every other respect, my new outfit meets her approval. 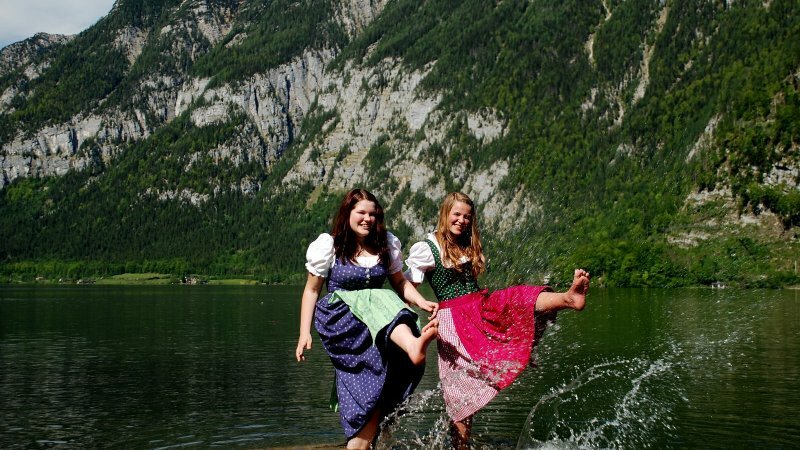 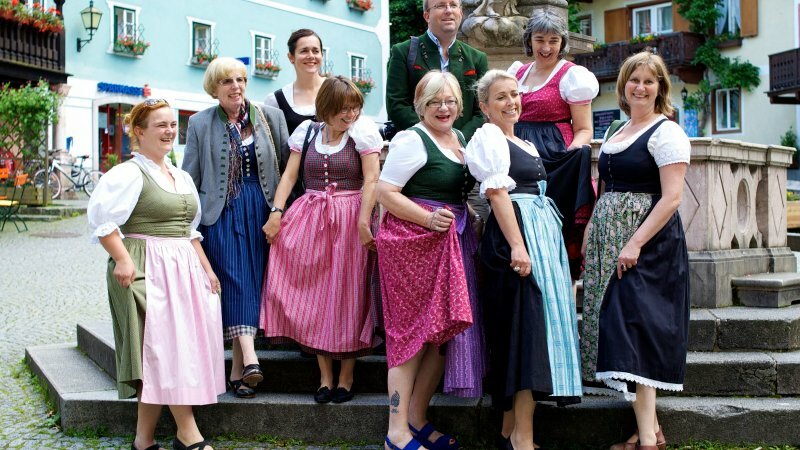 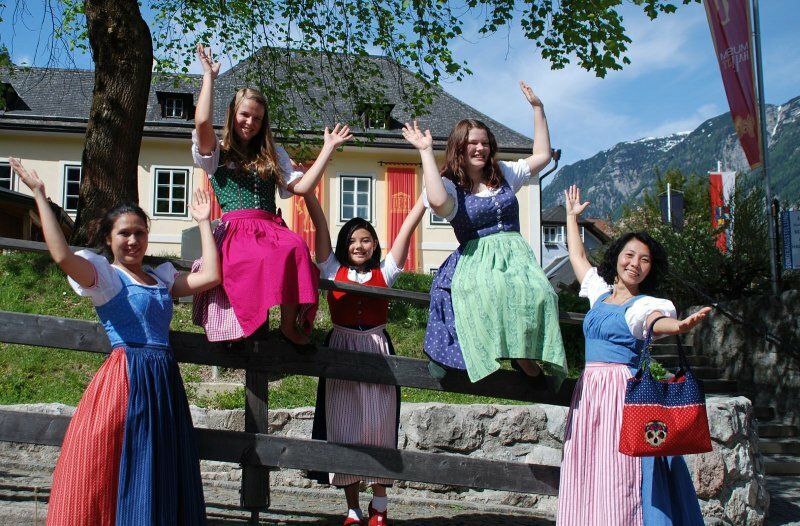 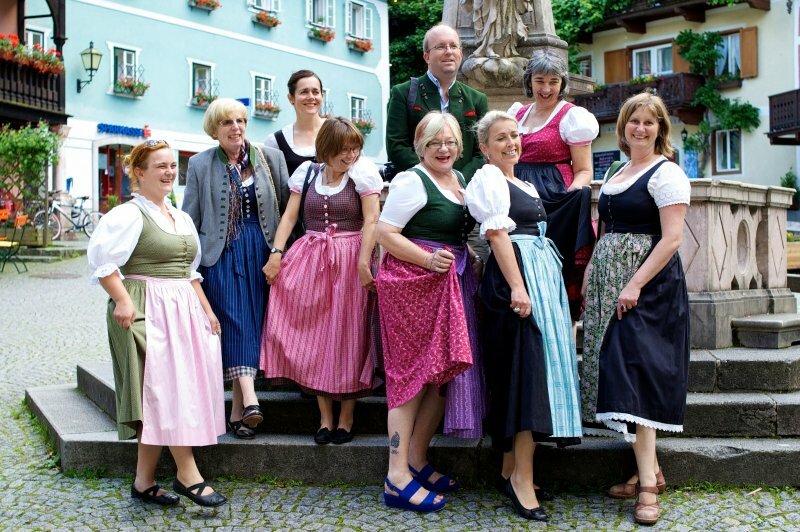 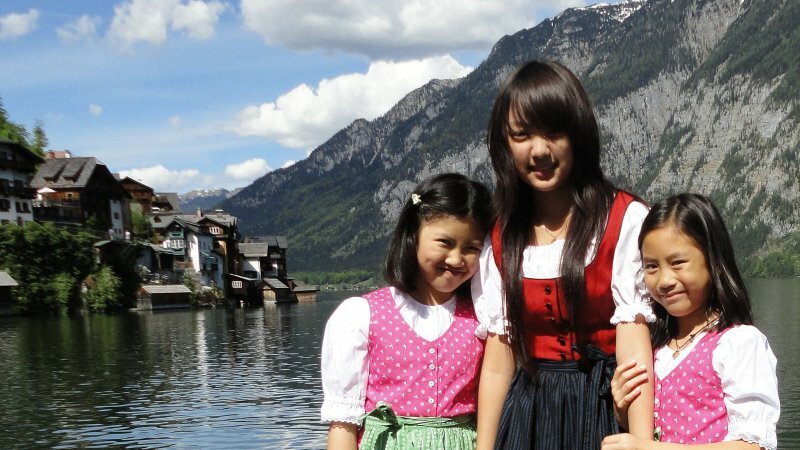 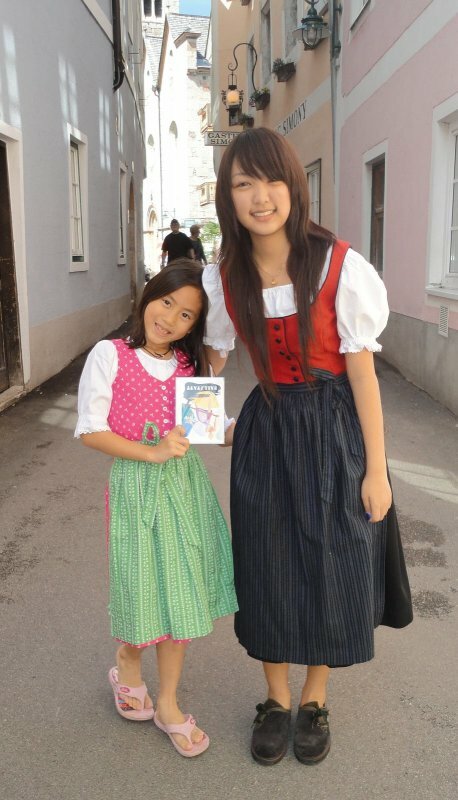 have donned a dirndl, and in Austria’s Salzkammergut region, about 300km west of Vienna, the dirndl is de rigueur. 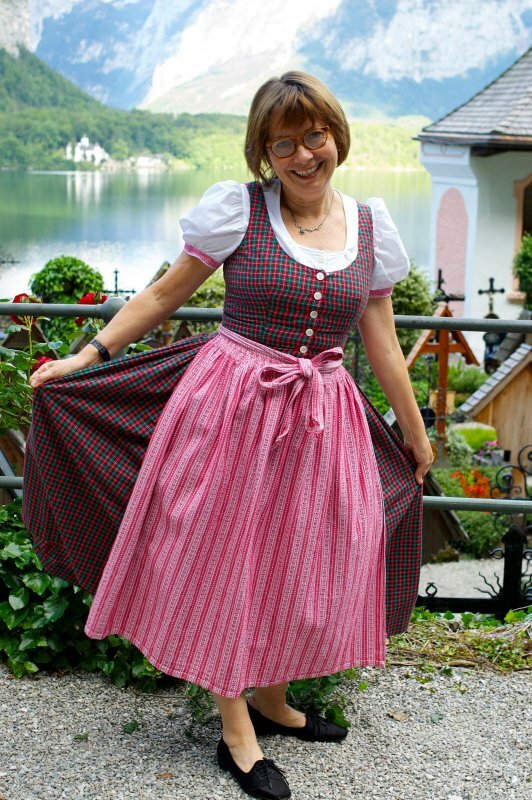 The Austrian national dress is for every day, and Claudia Holl is a woman determined to share the joy of wearing the dirndl with others. 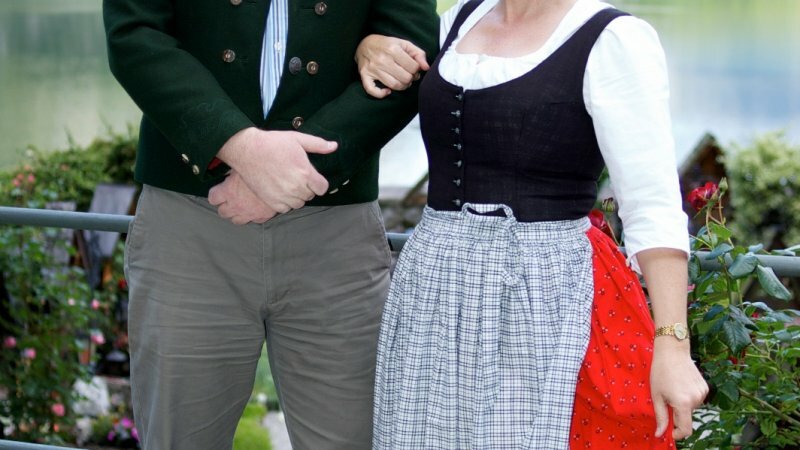 First, a cropped white blouse with puff-sleeves (mine are trimmed in pink) and a low neckline; a pinafore-style dress goes over the top, buttoned up tightly down the front, with a voluminous gathered skirt to below the knee; and over that, an apron that ties around the waist, cinching it in. 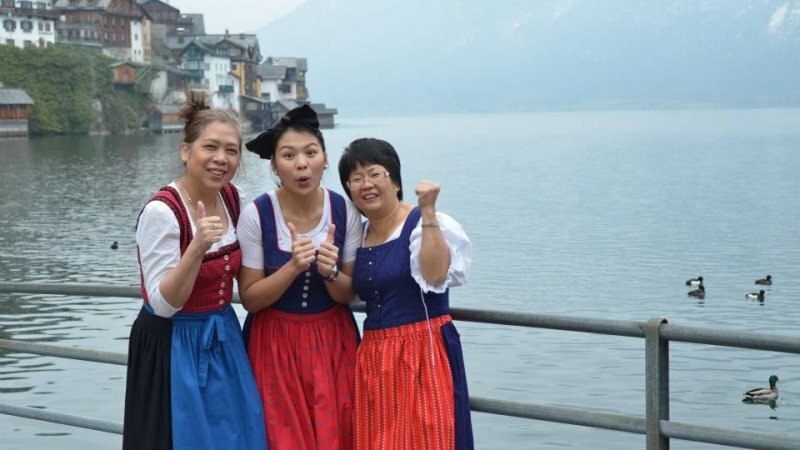 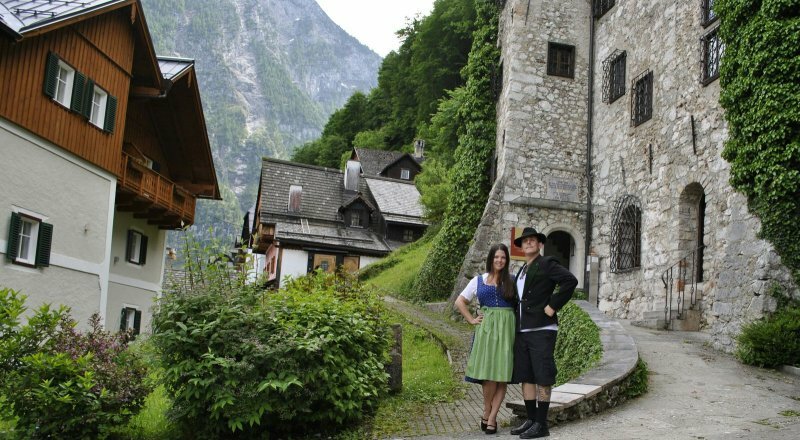 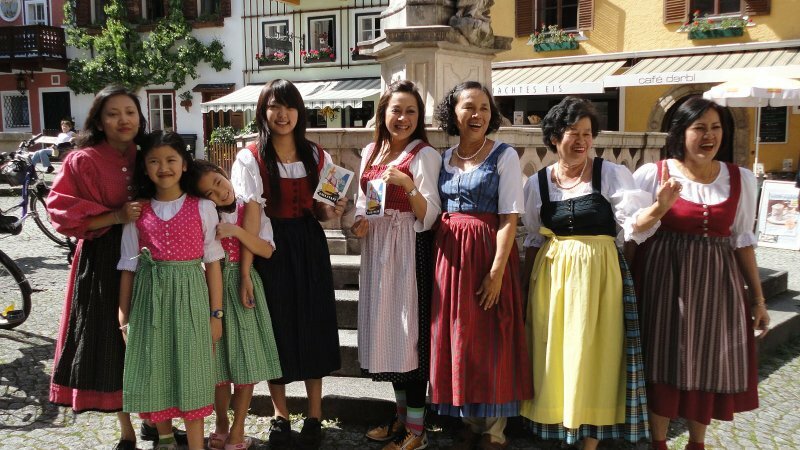 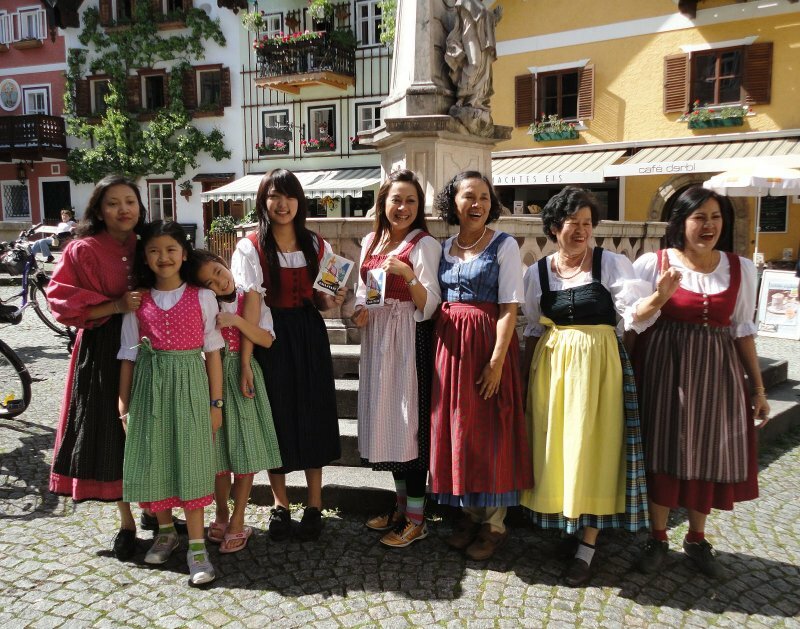 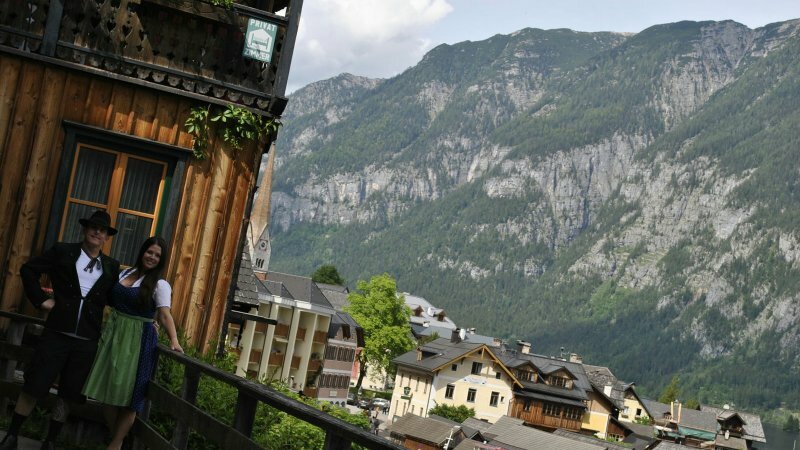 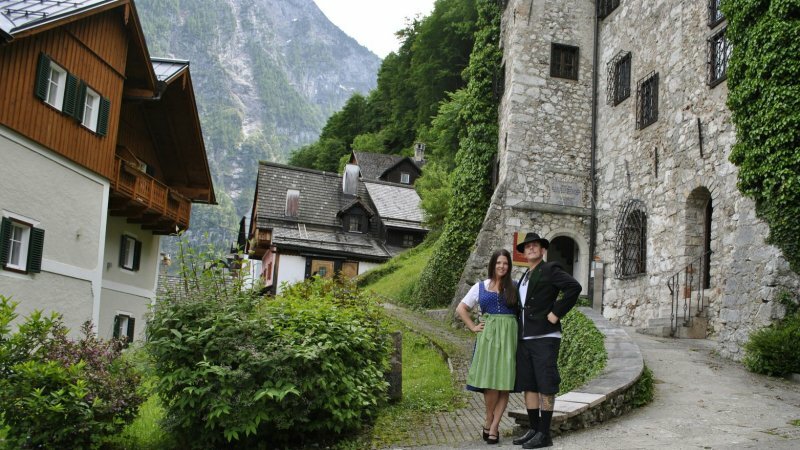 In Claudia’s home town of Hallstatt – reckoned by many to be the most beautiful village in Austria, if not the whole of Europe – her business, Dirndl To Go, is giving tourists the chance to dress up like a local for an hour or two or a full day. 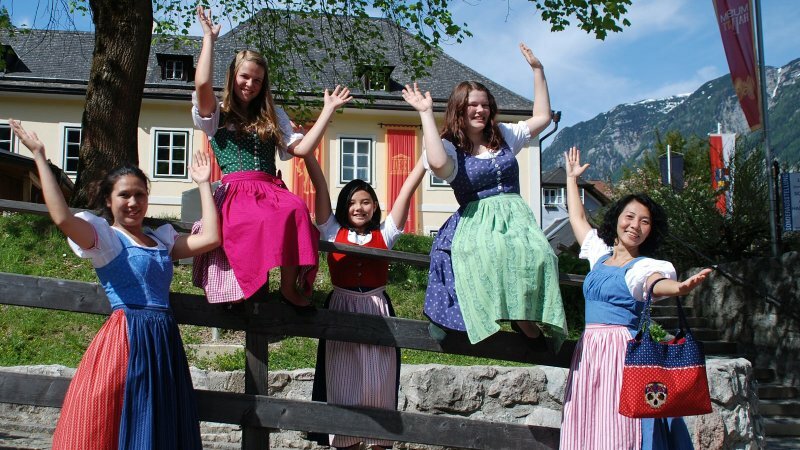 Four of us take turns with the dressing rooms in her small shop, finding a dirndl that fits and emerging with a definite spring in our step, unleashing our inner Julie Andrews (or Maria von Trapp). 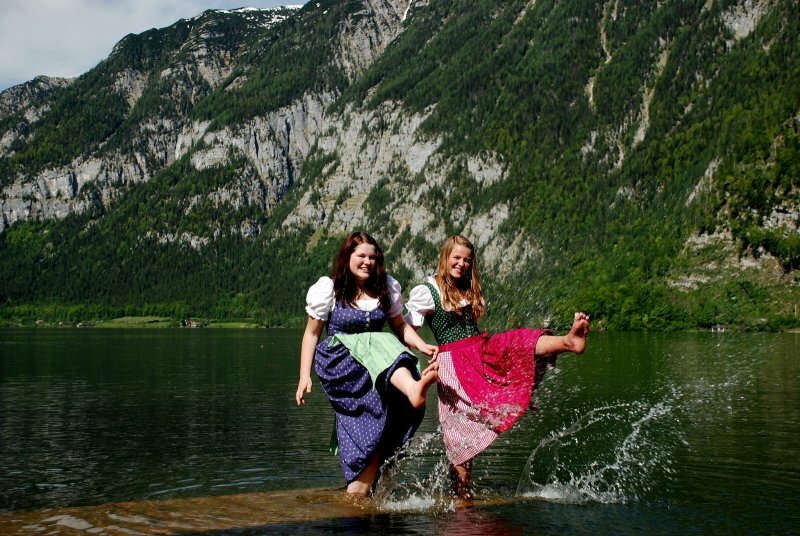 Indeed, this is the part of Austria where The Sound of Music was made. 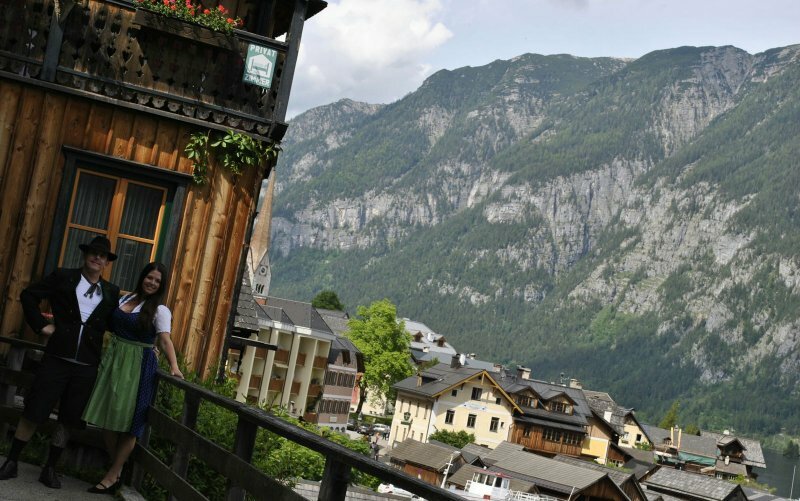 There’s not much room to move; or perhaps it is just the closeness of the atmosphere that makes it feel that way. 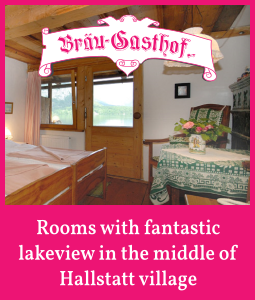 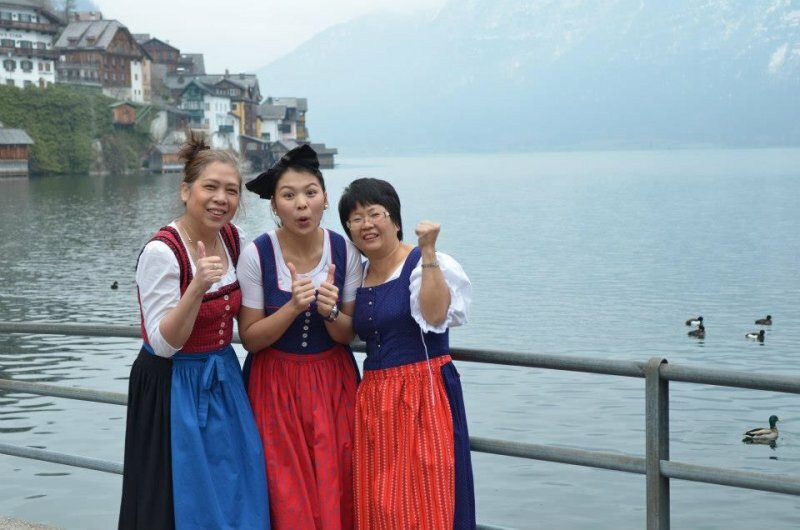 Rent a “Dirndl“ for your photos on the most beautiful places in world-heritage-village Hallstatt to remember your great holiday at lake Hallstatt/Austria! 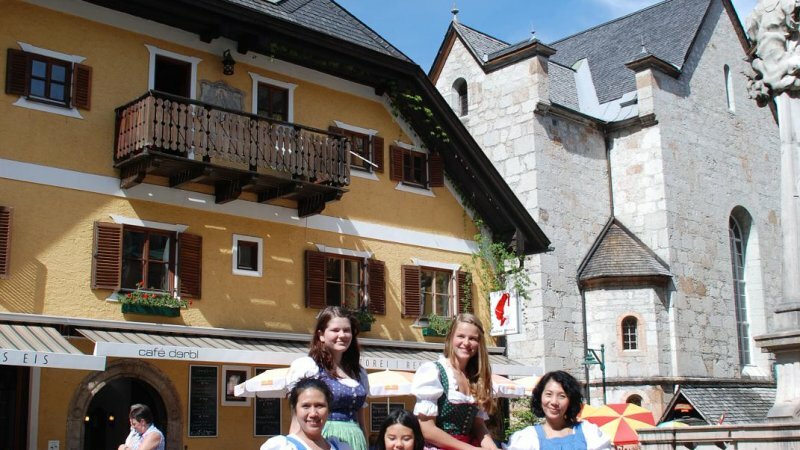 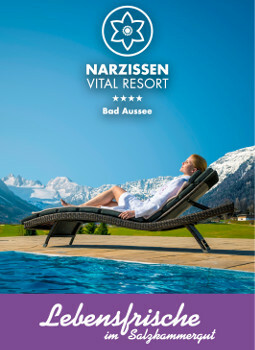 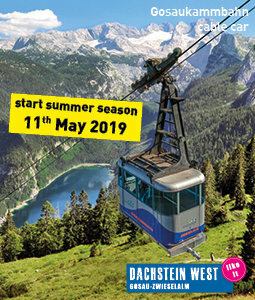 You´ll find our shop at the “Badergraben” in the village-center of Hallstatt (in between Museum Hallstatt and the romantic market square)…looking forward to dress you! 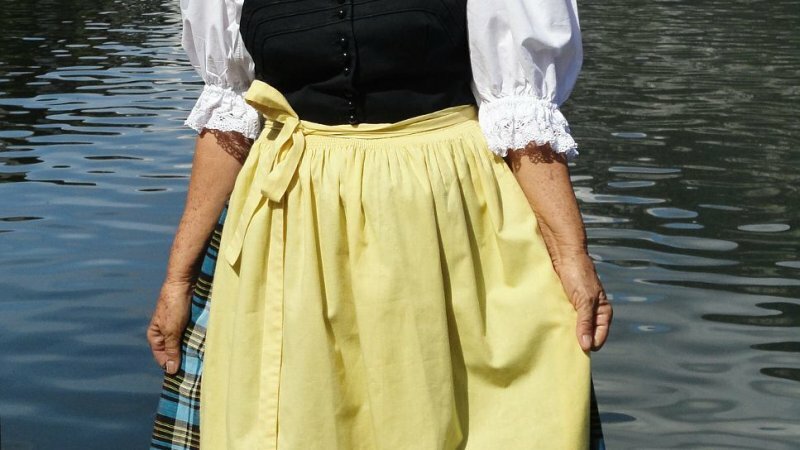 From May to middle if October. 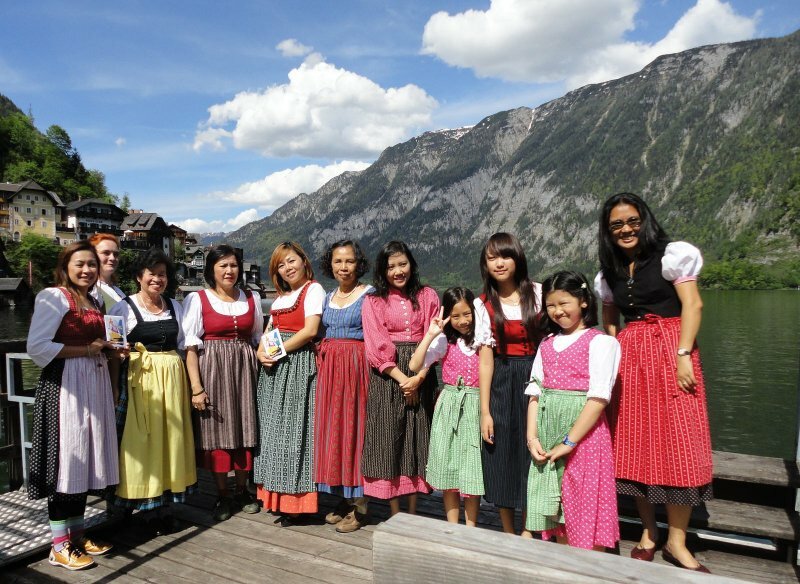 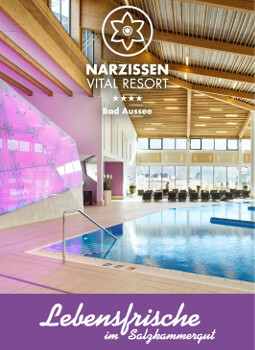 Daily from 11:00 to 17:00 hrs. 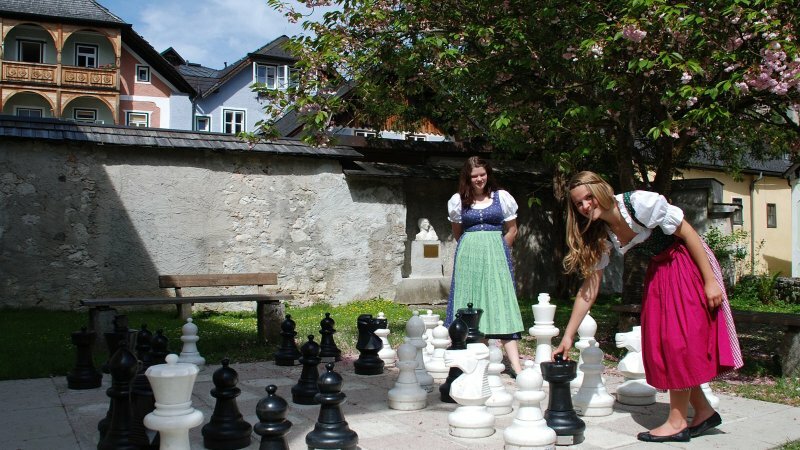 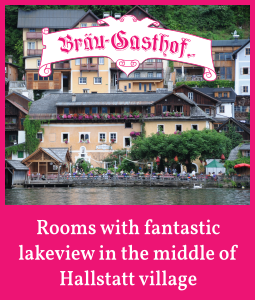 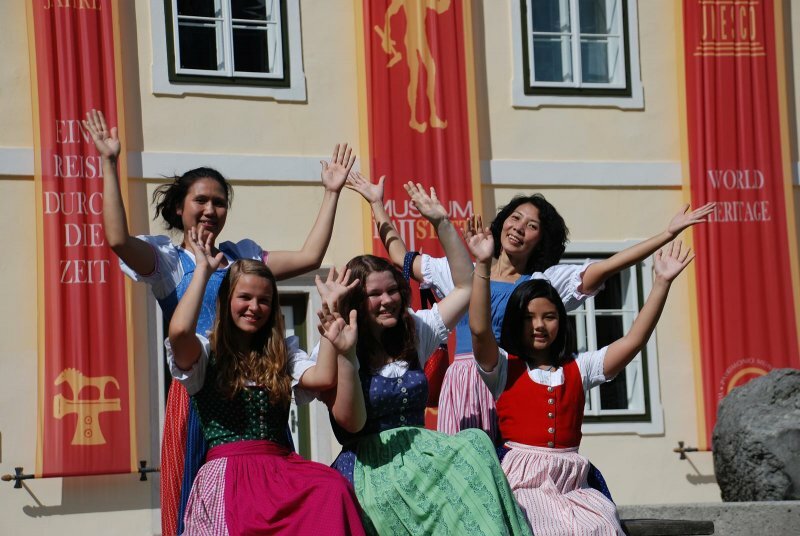 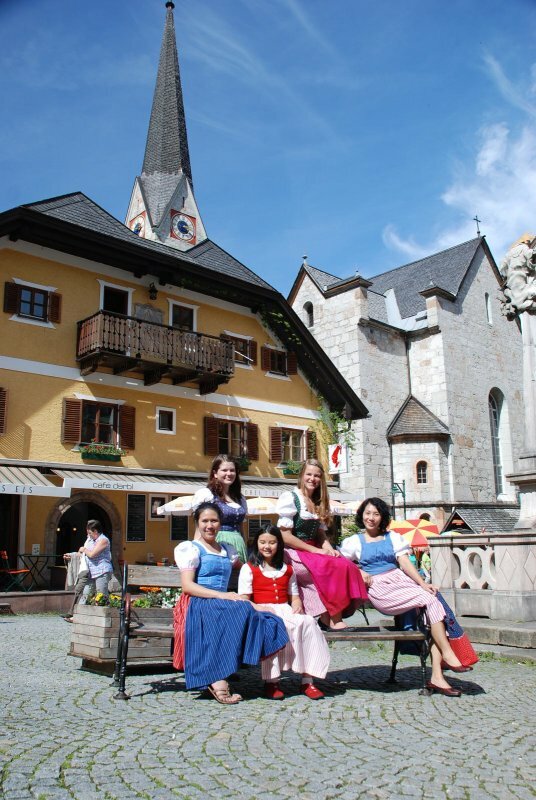 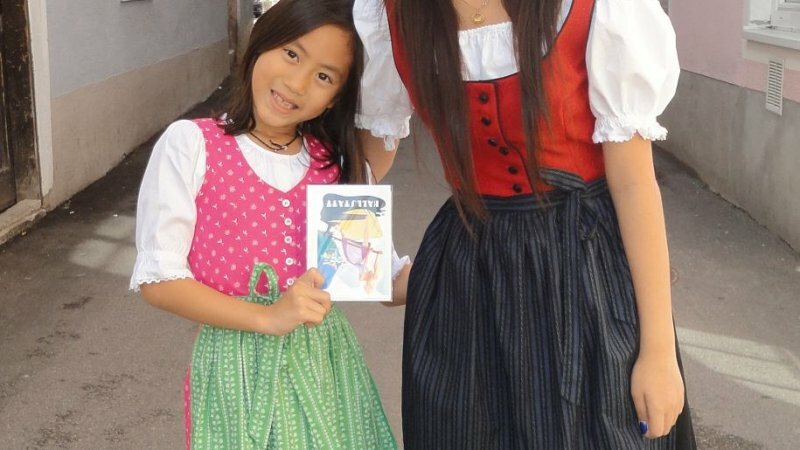 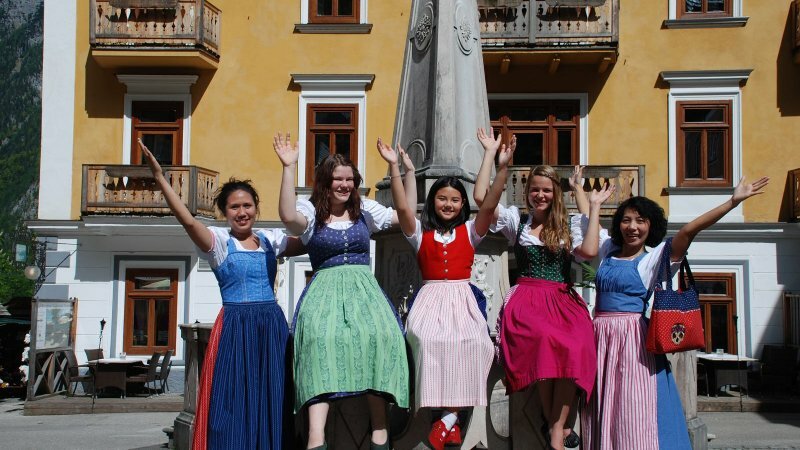 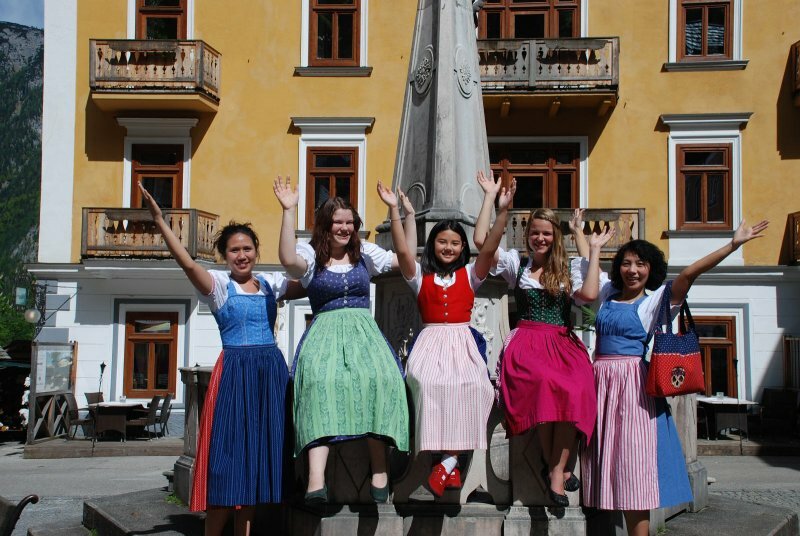 FolderNewspaper article about "Dirndl to go, Hallstatt"